Did you lose any luggage when off visiting relatives over the Saturnalia season? Don’t worry, Museum of London Archaeology are here to help. 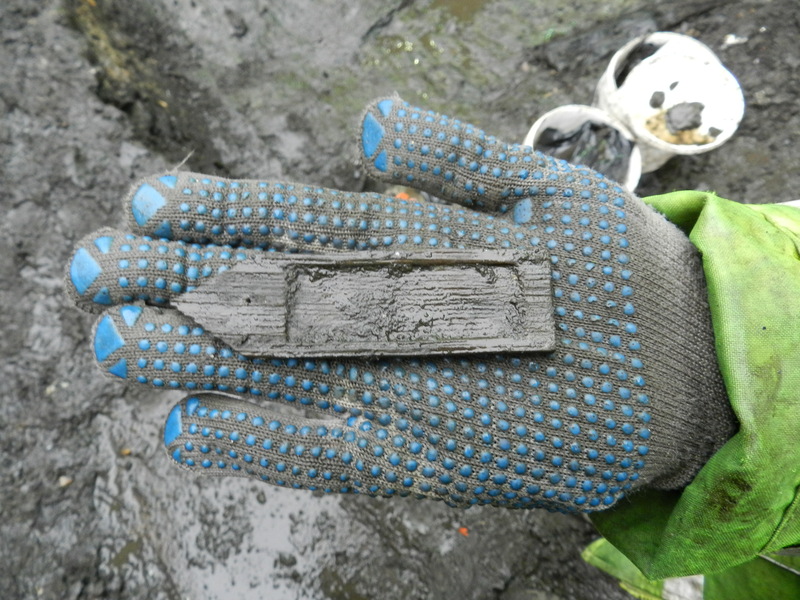 We recently unearthed this small piece of wood, and upon turning it over discovered that it possibly appears to be no less than a Roman luggage tag! The carved recess that you can see would have been filled with wax and written on with a metal stylus, in the same way as the writing tablets that we have found. After careful cleaning and close photographic and microscopic examination, we hope to be able to trace the original owner, who will then be able to collect the tag (and any associated animal bone and broken pottery they may be desperate to get back) from the museum’s cloakroom at their earliest convenience.